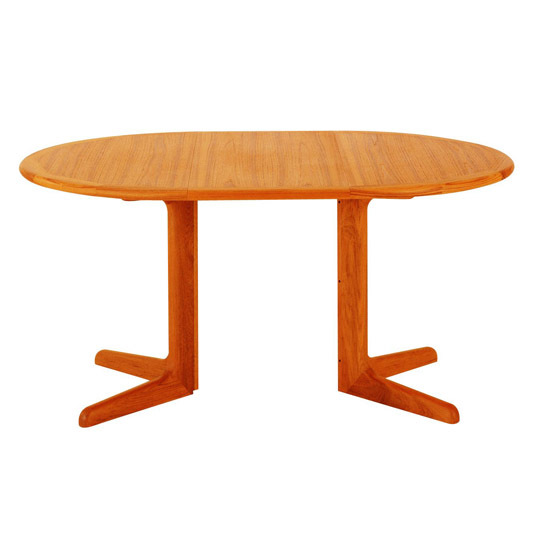 Margrethe 42" round dining table in teak with one leaf.Extends to 60" X 42". Designed by Benny Linden. Size: L 42/60"W 42"H 29"